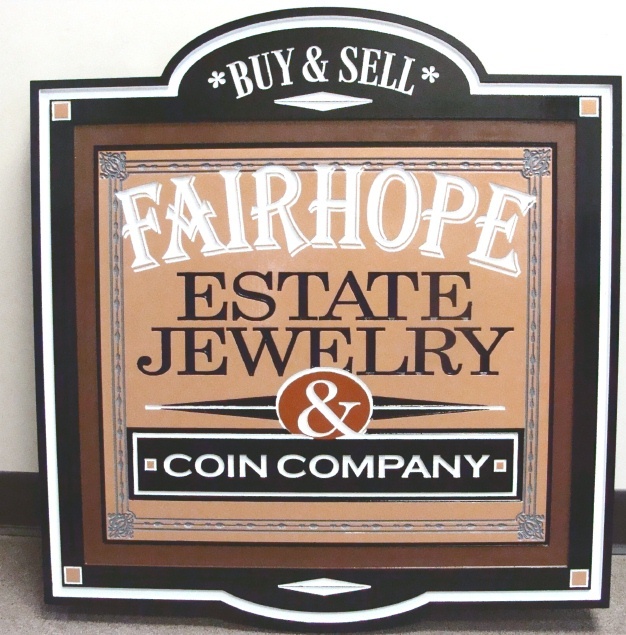 Above is a High Density Urethane Sign for an Estate Jewelry and Coin Company. This elaborate sign was made of HDU with our CNC router. Some of the text is raised, some engraved, and there are 7 different levels. "Fairhope" has beveled-top prismatic letters. After construction the sign was painted with long-lasting automotive-grade enamels and clear-coated twice, making it suitable for all-weather outdoor use.